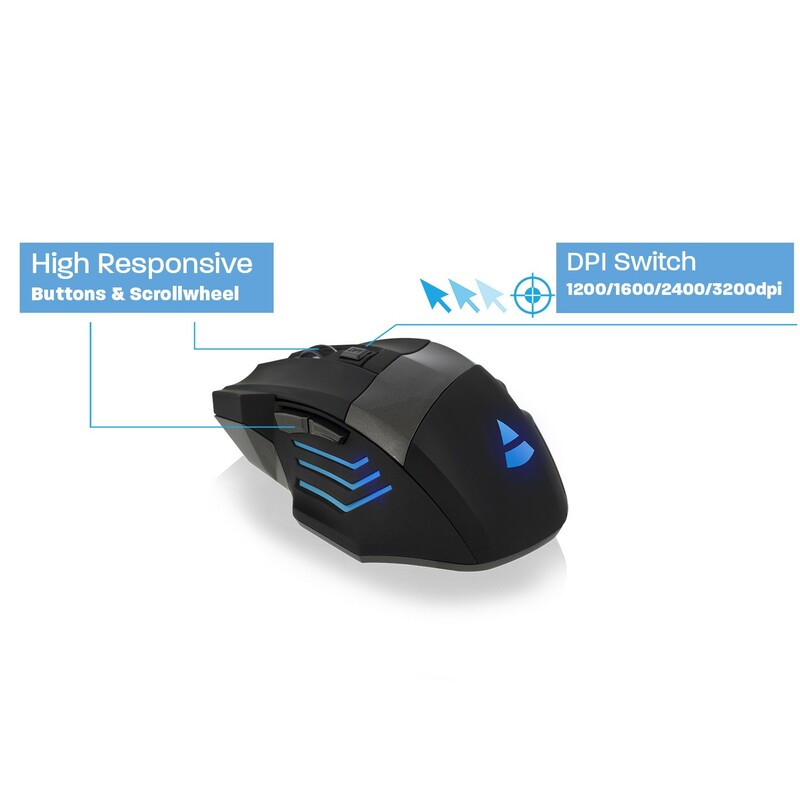 The PL3300 Gaming mouse with a high accuracy optical sensor, lets you choose between four pre-set DPI levels up to 3200 DPI. 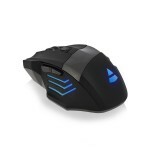 The ergonomic design ensures the perfect grip. No tangled cable anymore with the tangle-free nylon braided USB cable. 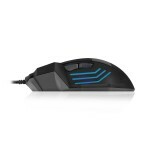 The Play gaming mouse is equipped with a high accuracy optical sensor. The DPI switch lets you choose between 4 pre-set DPI levels from 1200 up to max 3200 DPI for maximum game experience. 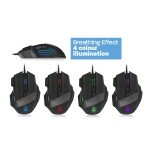 Automatic 4-colour illumination breathing effect for a colourful gaming experience. 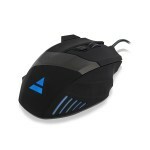 Ergonomic designed mouse with comfortable grip. 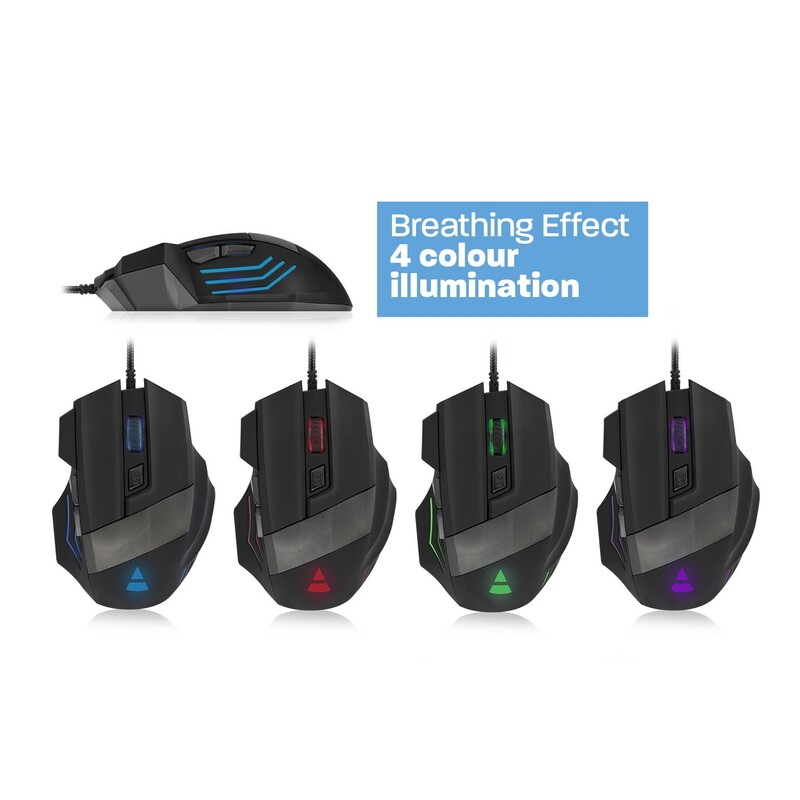 This lightweight gaming mouse with its 6 high responsive buttons and light scroll wheel lets you beat your game opponents. Game freely as you like. 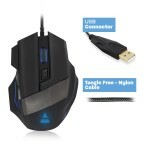 Don't get distracted by a tangled cable thanks to the nylon braided USB cable.